Combined with technology preventing the mirror from misting up, functional and high quality LED lighting, you can be assured you have the finest mirror design adorning your bathroom wall. 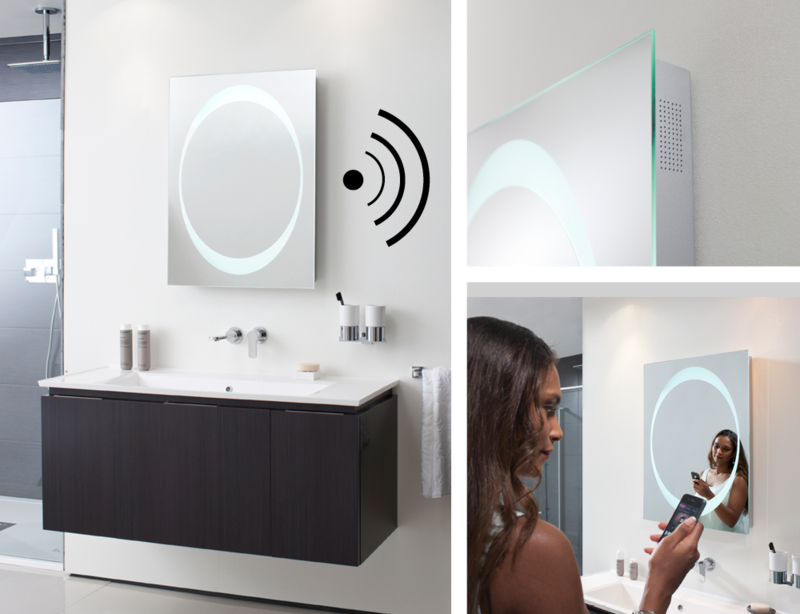 These innovative mirrors allow anyone with a smart phone or device that features Bluetooth® wireless technology, to listen to music or favourite online radio stations whilst using the bathroom. A simple connection, features include high quality stereo speakers, infrared sensor switch, demisting heat element preventing the mirror from misting up and it’s edge treated too, so no discolouration.